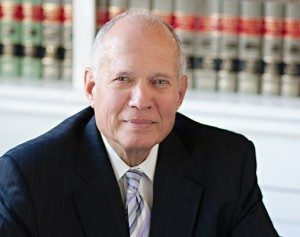 Having more than 40 years of experience practicing law, Doug has focused on civil litigation, including personal injury, medical and legal malpractice, business litigation and domestic relations. He is also a successful appellate attorney, having received favorable opinions in both federal and state courts of appeals. He has a peer review rating of “AV” from Martindale-Hubbell, the highest peer rating an attorney can obtain. Beyond the law, Doug is involved with his church, The Church of Jesus Christ of Latter-day Saints. He has served on a two-year mission for his church in the past, in addition to being active with youth groups while coaching baseball and basketball for ages thirteen through eighteen. Doug also instructs young men from the Boy Scouts up through the Explorers. He married Virginia Lundgren in 1967 and they have four children and fourteen grandchildren. Douglas Bywater, your experienced Vienna attorney, makes up a core portion of the fabric of our local law firm. United States v Lansdown, a decision allowing interlocutory appeals in federal criminal cases and a finding of no manifest necessity to discharge a jury. McCargo v Hedrick, invalidated the pretrial proceedings of the Federal District Court for the Northern District of West Virginia as being inconsistent with the Federal Rules of Civil Procedure. Winn v Aleda Construction Co., Inc., in which the court declared that a contract between the parties is the law of the case unless it is repugnant to some rule of law or public policy. I am writing to recommend your law firm to anyone in need of legal advice or counsel. When we found ourselves in turmoil with no answers to our challenges, you provided clear, concise, honest and stabilizing council. I was very impressed with the reputation of integrity that follows you and your firm from courthouse to courthouse and law firm to law firm. I was also impressed with the ease in which I was able to get in touch with you and the professionalism of all your attorneys and people that work with you. Since our first case with you, I have sent you many referrals for various matters…and that really is the most telling question of all, “would I refer my friends and family to your law firm?”, and the answer is a resounding “YES”! Thank you for all your help over the years.